Did you know that despite his gloomy mug, the English Bulldog is one of the most amiable of all breeds? Bulldog puppies are frisky, but adults are quiet and rather phlegmatic, spending much of the day snoring on the sofa. They do need some exercise to stay fit, preferably walks in cool weather. 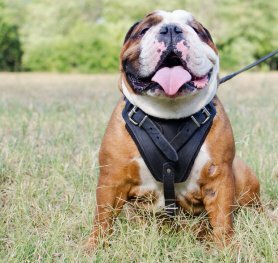 Some English Bulldogs are friendly with strangers, while others are politely reserved. Though not a barking watchdog, his blocky build and odd, rolling, shuffling gait give intruders pause. It takes a tremendous amount of serious teasing or threatening to provoke this sweet-natured breed, but once aroused, he can be a force to reckon with. His tenacity and resolve mean that it's difficult to change his mind once he decides to do something. Usually peaceful with other pets, some male Bulldogs may engage in a battle of wills (or jaws) with other males. Though stubborn, the English Bulldog is surprisingly sensitive, remembers what he learns, and responds well to patient, persistent training that utilizes food motivation. Jerking this breed around accomplishes absolutely nothing. So, if you want a dog , who is moderately-sized, has a short easy-care coat that comes in many colors, is easygoing and dependable with most of the world, doesn't need much exercise and spends much of the day snoring on the sofa - the English Bulldog is right for you! Your little English Bully is so young and eager to learn like a human baby. Let's make this time pleasant, happy and safe! 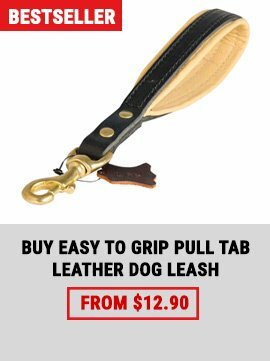 This Soft leather harness for English Bulldog puppy is what your four-legged friend truly needs. 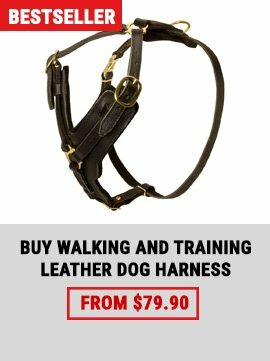 You should know that you should exercise control over your dog even if it is a puppy but it will be better if you do this with Lightweight Leather Dog Harness. A dog collar that can be used on daily basis in any weather conditions, that can provide super comfort, excellent safety, amazing durability and impeccable style is not a myth!This Extraordinary Nylon Dog Collar with sparkling nickel-plated pyramids is perfect in all respects. You will be pleased with its price and high quality. 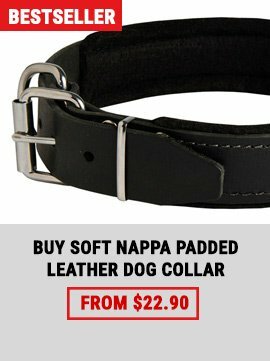 Your English Bulldog will be happy to wear it.